Linda Marie Dummer was born on March 5, 1954 to Donat and Vernita (Berle) Dummer in New Ulm, Minnesota. She was baptized and confirmed in her faith at Church of St. George in St. George, Minnesota. Linda graduated from New Ulm High School in 1972. She furthered her education at Minnesota State University in Mankato, Minnesota and graduated with Bachelor’s of Science degrees in Chemistry, Math and Computer Science and also received her teaching certificate. Linda first taught school in Prior Lake, Minnesota. She then moved into quality control in the canning industry while living in Rochester, Minnesota. Her next career move brought her to Luverne, Minnesota and went to work for Berkley Information Services. In 1997, Linda became a Wells Fargo Team Member in Sioux Falls, South Dakota where she worked for over twenty years. In November 2018, she was diagnosed with cancer. Due to her health concerns, she retired from Wells Fargo March 1, 2019. 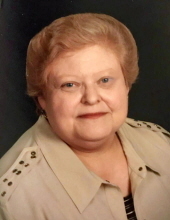 On Friday, April 5, 2019, Linda passed away peacefully at the Sanford Luverne Hospice Cottage in Luverne at the age of 65 years and one month. Linda was a member of St. Catherine Catholic Church in Luverne, where she prayed for many in the presence of Christ in their adoration chapel. Her faith was dear to her and her trust in the Lord carried her through many difficult times. She enjoyed knitting, crocheting, needlepoint and was an avid reader. Most of all, Linda enjoyed arts and the theatre. Linda served on the Green Earth Players board and Council for Arts and Humanities in Rock County board for many years. Through these organizations she helped many talented individuals get started, receive funding and become noticed. Though Linda wasn’t much for the center stage, she was the backstage star of numerous successful productions performed at the Palace Theatre. Many of her vacation days were used moving sets, props and costumes into the theatre. Linda coordinated costumes for multiple productions and her motto was, “if you are going to do it, do it right.” And those who performed for her will fondly remember her simple rule, “No food, drinks or smoking in costume.” She will also be remembered by all for her heart that always ran full of kindness, concern and love for others. Linda is lovingly survived by her four siblings, Judy (Mike) Malone of Merced, California, Deb (Terry) Harris of Sioux Falls, Betty (John) Henning of Golden Valley, Arizona, and Ron (Cindy) Dummer of Hopkins, Minnesota; many nieces, nephews, great-nieces and great-nephews; and numerous special friends, especially those from the theatre whom she considered family. She was preceded in death by her parents, Donat and Vernita Dummer; and a sister, Barb Link. To send flowers or a remembrance gift to the family of Linda M. Dummer, please visit our Tribute Store. "Email Address" would like to share the life celebration of Linda M. Dummer. Click on the "link" to go to share a favorite memory or leave a condolence message for the family.